My tapestries are predominantly wool, with highlights of silk and rayon. I use multi-stranded butterflies of yarn in order to combine many colors and subtle textures. This has an effect similar to Pointillism; the eye blends the colors. 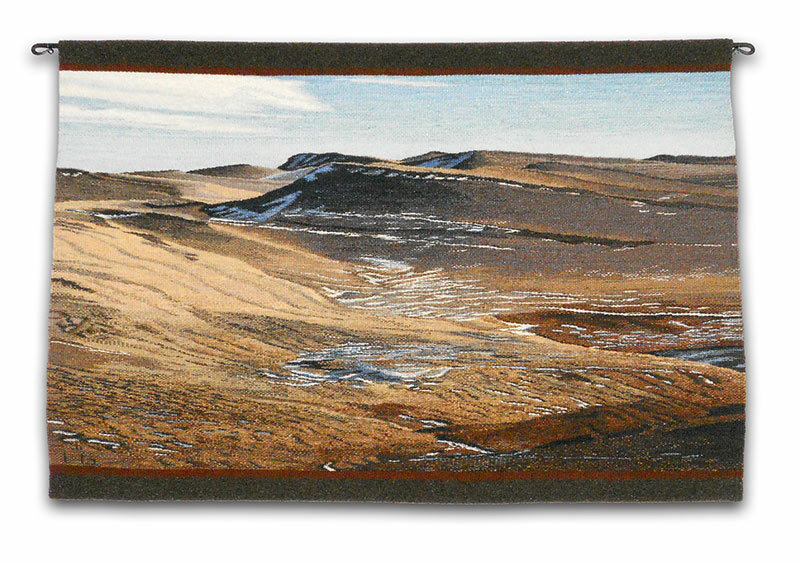 These tapestries are woven in an individual adaptation of the Mexican tapestry technique .I use my own designs and interpret them freely as I work.I do not employ computers other than for photography production. 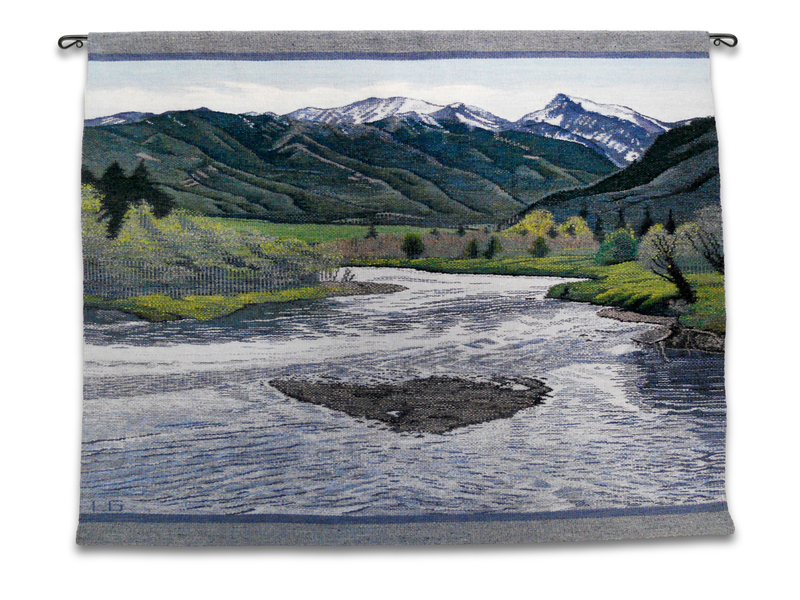 "Realistic hand woven landscape tapestries are my passion."